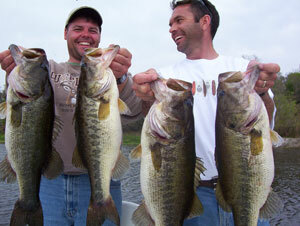 Orlando and Central Florida's finest professional bass fishing guide service. then contact Bass Challenger Guide Service. and FULLY insured with Boat US Commercial Insurance. 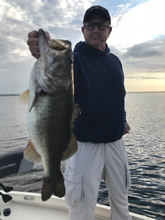 Trophy Bass Fishing on the St Johns River only minutes from Orlando Disney World and Daytona Beach. Transportation available for Orlando and Disney area hotels guests. 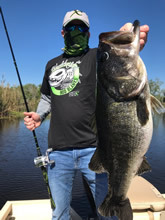 The Orlando, Daytona and all of the Central Florida area has some of the best trophy largemouth bass fishing the world has to offer. My Name is Captain Ed Bussard and I am the owner of Bass Challenger Guide Service. I started guiding clients at the age of 18 out of a fish camp called Osteen Bridge Fishcamp on the St Johns River. Before guiding I was a dock hand for two years on weekends and during the summer months when I was not attending school. It is now 30 years later and at the age of 48 I still make my living on the water as a full time guide. Many things have changed in 30 years but the one thing that hasn't is my desire to see the smile on my clients faces each time they catch a fish aboard my boat. 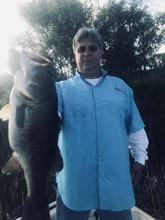 There are many guide services in the Orlando area today and I understand that it is a hard decision to make when spending your hard earned money on what is supposed to be a fishing trip of a lifetime. I am here to let you know that 20 years fishing experience in FL is not the same as 20 years of guide experience in Florida as many claim. If you are looking for a guide with a life long passion of putting smiles on clients faces you have came to the right place. Please take a good look through my website and see for yourself what 30 years of guiding experience is all about. 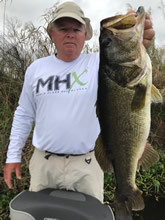 Eddie has been guiding his clients to some of the greatest largemouth bass fishing in the central Florida area. 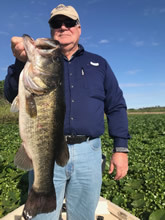 He has spent many years on the water from South of Orlando, through Sanford all the way to Daytona Beach which include the St. John's River, The Kissimmee Chain of Lakes, and the Butler Chain of Lakes. He now uses that knowledge and experience to make sure that his clients not only catch fish, but have a wonderful and FUN day. Writers often fish with Eddie to get a good background for their stories. "Catch a Memory" will take on a new meaning after a day on the beautiful waters of Central Florida.